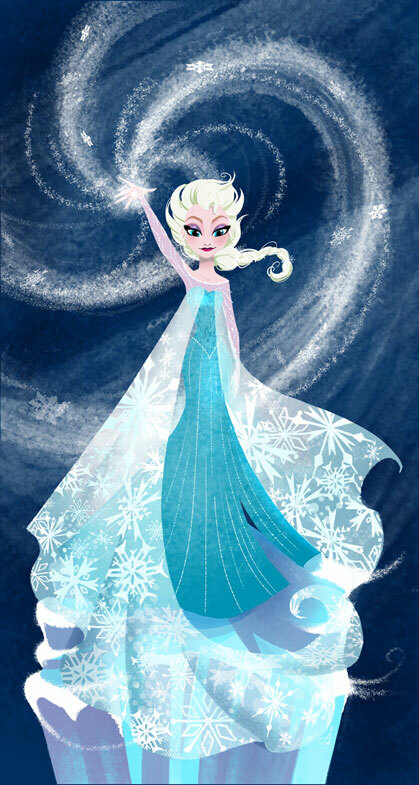 Frozen fans love this beautiful depiction of Elsa so much that is sold out everywhere else. Lucky for you, we have a limited number available in the gallery. Don’t miss out! CoA included. 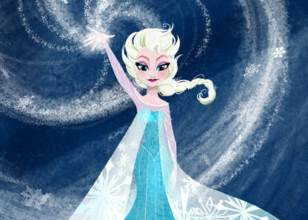 Letting Go - Frozen fans love this beautiful depiction of Elsa so much that is sold out everywhere else. Lucky for you, we have a limited number available in the gallery. Don't miss out! Certificate of Authenticity included. Amy Mebberson is an illustrator who provided artwork for Boom! Studios' line of Disney comic books. Among them, she drew interior illustrations for the mini-series Muppet Peter Pan and Monsters, Inc.: Laugh Factory, as well as The Muppet Show Comic Book arc "Family Reunion". In addition to her work on these, she has illustrated several variant covers for The Muppet Show Comic Book, Muppet Robin Hood, Toy Story: Tales from the Toy Chest, Muppet King Arthur, Uncle Scrooge, Darkwing Duck, Mickey Mouse, Muppet Sherlock Holmes, and Donald Duck. After the cancellation of Boom! 's Muppet titles (and the eventual cancellation of their remaining Disney comics), Mebberson also illustrated some Muppet storybooks following the release of the 2011 Muppet film. Prior to her work on Boom! 's Disney comics, Amy also worked as an in-between artist on The Little Mermaid II: Return to the Sea, Return to Never Land, The Jungle Book 2, Mickey, Donald and Goofy: The Three Musketeers, and Cinderella III: A Twist in Time. Mebberson also created the "Pocket Princesses" series of webcomics, starring the 11 official Disney Princesses, which is hosted on her Tumblr page. She has now returned to drawing cover art for Disney comics under IDW Publishing.